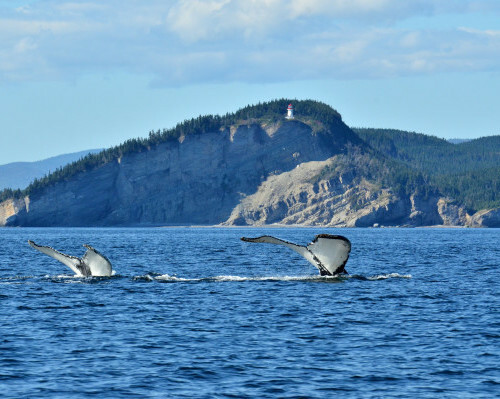 With its fleet of six boats and its well-trained crew for Whale Watching, Croisières Julien Cloutier offers you excursions around Percé Rock and Bonaventure Island as well as whale-watching cruises. Witness the beauty of Île-Bonaventure-et-du-Rocher-Percé National Park from a completely different angle! 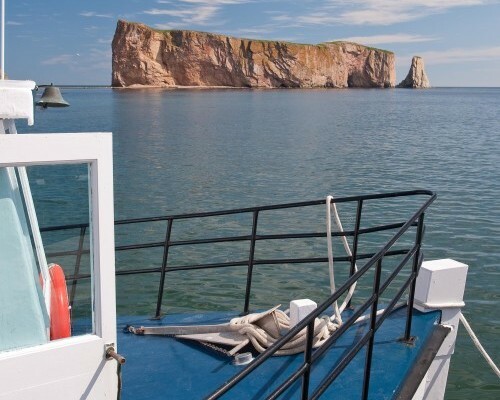 Take in the maritime scenery all around you while admiring both sides of Percé Rock, the bird colonies on Bonaventure Island (including the largest northern gannet colony in the world) and the Bonaventure Island sector. Come and experience an unforgettable whale-watching adventure aboard the Narval III. A bilingual interpreter guide will accompany you during this excursion of approximately 2.5 hours to tell you more about the various species of whales you will encounter. Up to seven species may be observed, including blue, fin, humpback and minke whales. Forillon is an exceptional place to observe blue whales. 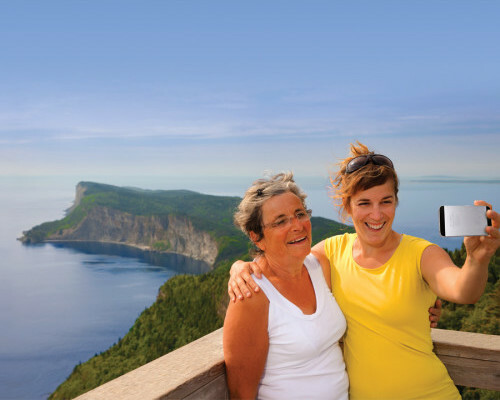 In addition to seeing numerous species of whales, you will also be surrounded by the spectacular scenery of Forillon and Cap Gaspé, including the sheer cliffs at Land’s End. 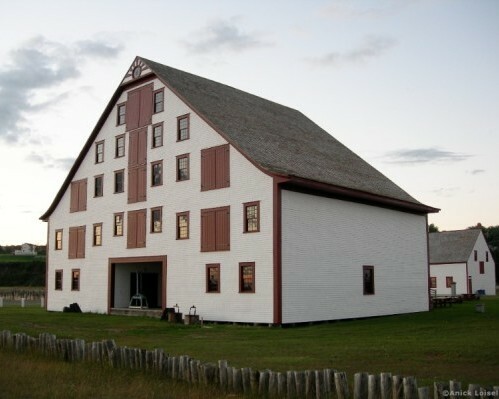 The Musée Acadien du Québec is a public space offering numerous cultural and educational activities to introduce visitors to Québec’s rich Acadian heritage. First and foremost, the museum recounts the fascinating and moving story of the Acadians of Québec in its permanent exhibit. 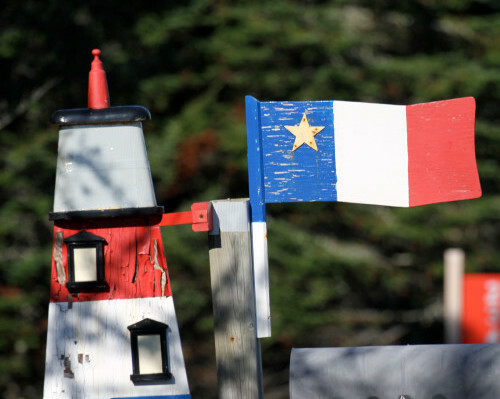 A million Québec residents are of Acadian origin and three million have at least one Acadian ancestor. From early July to mid-August, the museum also presents movie screenings on Monday evenings and a series of shows entitled Chapeau à nos artistes on Wednesday evenings. Feel the Mingan Island rhythm! 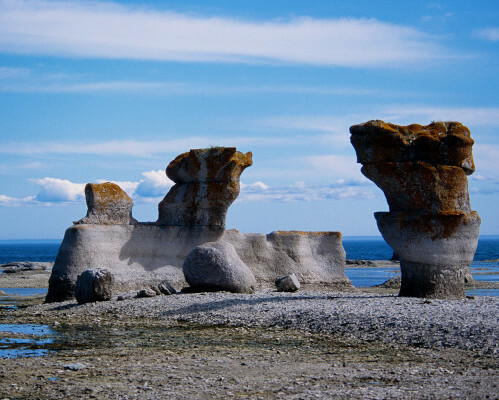 Only an artist’s limitless imagination could have conjured up the striking landscapes of the Mingan Archipelago. The combination of climate, sea, and naturally sculpted rocks have been the subject of countless works of art over the years. As far as the eye can see there are gravel beaches, sea cliffs, and limestone monoliths with the ocean setting the mood. Its rhythm, salty smell and vibrant blue colour are so idyllic it feels like you’ve walked into a living painting where thousands of seabirds swirl across the sky in unison. Atlantic puffins, terns, and Common eiders are just a few winged friends who regularly visit the islands. 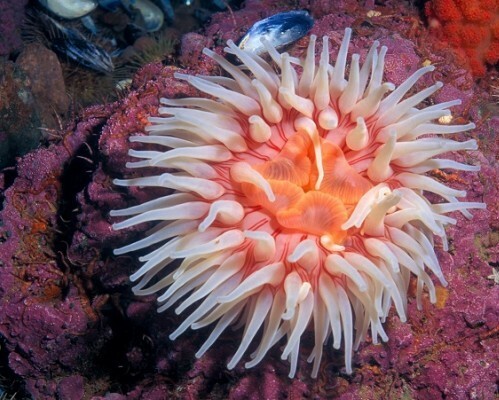 At the Marine Environment Discovery Centre, learn about the impressive richness of life in the Saguenay–St. Lawrence Marine Park. Are you intrigued by the small creatures found on the seashore or are you more interested in eyeing the horizon in the hopes of seeing a huge whale? In any case, guided activities will make you discover a spectacular region of natural wonders. The Jardin des Glaciers (Glacier Garden) focuses on phenomena associated with the last ice age, climate change and the migration of the first peoples. Located on the St. Lawrence River in the heart of the Manicouagan-Uapishka World Biosphere Reserve, the Glacier Garden is an integrated interpretation, exploration and education site offering popular science content in a unique and exceptional natural environment. The site offers two distinct experiences: a multimedia experience and a nature experience. Multimedia experience: 20,000 Years Under the Ice: A Boreal Adventure New knowledge. Gain new insight into the last ice age as you experience what it would be like to stand on the Laurentide Ice Sheet, which was 4 km (2.5 mi.) thick. To complete your visit, the Glacier Exploration Station also offers three thematic zones: the multimedia research room, the alcove hall and the exhibit room, which presents an exhibit from Chamonix, France, Glaciers and Men. Nature experience: Learn and explore via our various guided and interactive tours. Become an explorer, step back in time and learn about postglacial phenomena while having fun. Seashell Valley: In this natural ancient environment in the boreal forest, feel the purity of millions of seashells piled one on top of each other for over 10,000 years. 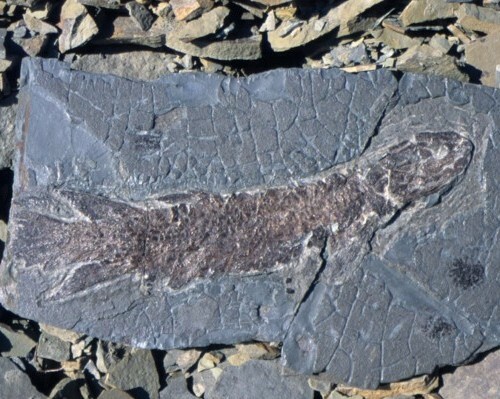 This unique geological site, the only one of its kind in the world, is the result of our territory’s immersion under an ancient sea. Excavation and identification activities will allow you to appreciate this unusual phenomenon. Head out to sea in a motorboat and admire the work of several billion tonnes of ice, which sculpted some of the largest glacial grooves in the world. This excursion will take you to a unique harbour and includes a stop at exceptional rock formations created by a waterfall. Île-Bonaventure-et-du-Rocher-Percé National Park is home to the largest migratory bird refuge in North America. 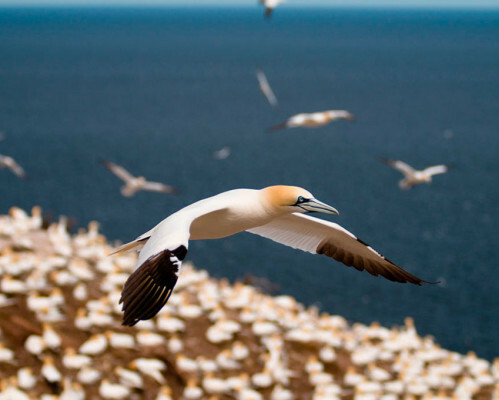 Its colony of 120,000 northern gannets is the most accessible in the world. The island also offers four hiking trails and a historic heritage trail that reflects Bonaventure Island’s prosperous past. Discover the historic and natural heritage of the Percé region at the interpretation centre in the historic Charles-Robin sector. Don’t forget to stop in our nature boutique! Experience an unforgettable excursion on Bonaventure Island and wander from one wonderful discovery to another by taking advantage of the interpretive activities offered by experienced park wardens, who are also naturalists. Dive into the history of the fisheries with them by visiting Le Boutillier House, follow them closely during a guided hike and enjoy the activities held at the northern gannet colony. Accompanied by a park warden, learn about the history of Percé Rock, from its origins to today, at the Mont-Joli lookout. Gaspésie National Park is home to the highest Appalachian peaks in Québec, the only caribou herd south of the St. Lawrence, a large moose population, arctic-alpine flora and spectacular scenery on every side! 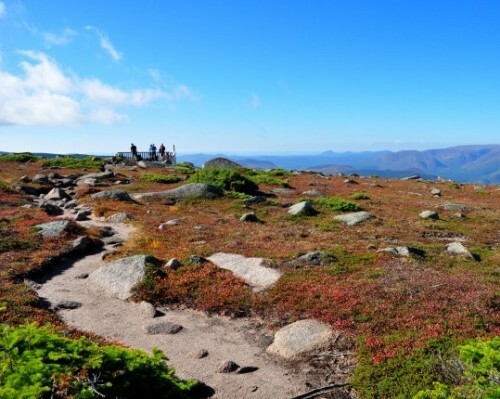 Come and soak in the splendours of the Chic-Choc and McGerrigle mountains and keep an eye out for interesting wildlife (caribou, white-tailed deer, moose and over 150 species of birds) as well as unique plants (alpine tundra and several rare plant species). The basic mission of the park is to protect a representative sample of the natural environment of the Gaspesian massif and the exceptional elements found there. A vast network of trails will help you discover the park and reach the alpine tundra. Visitors can find out more about the natural environment during discovery activities led by park wardens. Activities for groups are available upon reservation. Located 15 minutes from Tadoussac in a vast natural setting along the Saguenay Fjord, this family farm is ideal for groups, families, nature lovers and adventurers. 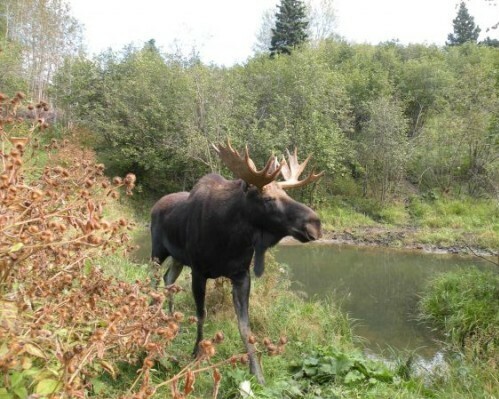 During a guided or self-guided tour of the farm, children and adults alike will be enthralled with the wide variety of animals on site (moose, wolves, cougars, bison, deer, etc.). This unique site offers a variety of lodging options (cottages on site or along the Saguenay Fjord, motel, B&B, yurts, campsites, teepees, etc. ), activities (sea kayaking, quad excursions, horseback riding, dogsledding, snowmobiling, snowshoeing, etc.) and homemade country-style meals. In the morning, visitors can participate in morning chores: feeding the animals, gathering eggs, etc. Visit our sugar shack year-round and savour maple taffy. Éole Cap-Chat invites you to discover the secrets of this site, which has been an official wind energy interpretation centre since 1988. 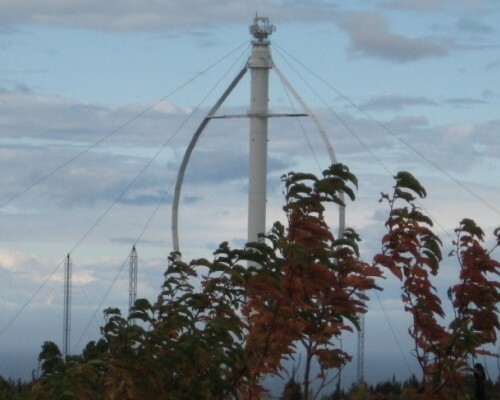 Take a guided tour of the Le Nordais wind farm and visit the highest vertical-axis wind turbine in the world. Learn more about the technological developments in this field during an era when protection of the environment is increasingly important. Bic National Park offers you a memorable experience: spend a night in one of our eleven yurts. A traditional dwelling used by nomads living in the steppes of Central Asia, yurts are an alternative type of four-season accommodations. More comfortable than standard tents, yurts also have a unique rustic charm. Their round shape encourages rest and relaxation. What’s more, you can observe the stars through the keystone window and enjoy the view of Baie de l’Anse aux Bouleaux Est through the large side windows. A rustic shelter is available in the fall, winter and spring. Located in the annex to the Rioux House, this shelter can accommodate two people. A witness to two centuries of epic fishing history in Gaspésie, the Banc-de-Pêche-de-Paspébiac Historic Site features 11 outstanding period buildings. Discover the exceptional architectural charms of this site, including the largest wooden structure in North America, built from 1838 to 1840. Through theatrical performances, relive the great adventure of the two largest Jersey Island fishing companies of the 18th and 19th centuries, the Charles Robin Company and LeBoutillier Brothers. Also watch traditional shipbuilding, net-mending, blacksmithing and barrel-making demonstrations. Learn about history’s influence on the development of Eastern Canada’s fisheries by means of a permanent exhibit, theatrical performances and a multimedia display. 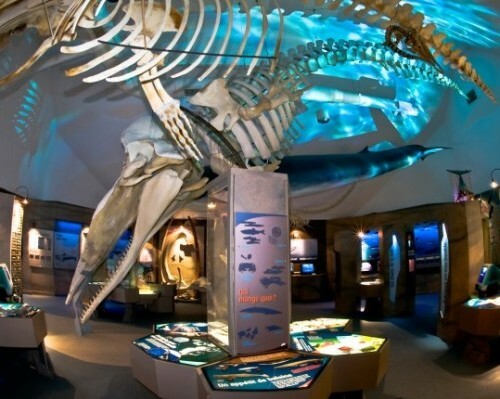 Explore the world of the whales at the Marine Mammal Interpretation Centre (CIMM) and encounter the skeleton of a sperm whale over 13 m (40 ft) long. Unique videos, sound recordings, games, a skeleton collection and exclusive film screenings in an air-conditioned room provide the perfect complement to a whale-watching excursion. Specialists are available on site to answer your questions. All proceeds from your purchases at the gift shop help the whales. Visit the centre’s garden to admire local flora as well as five life-size sculptures of beluga whales. 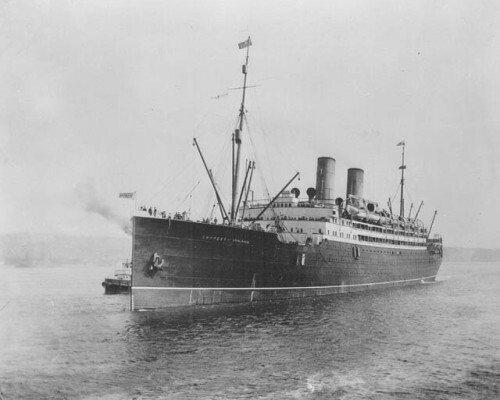 The Empress of Ireland Museum presents the history of the Empress of Ireland passenger ship, from its construction in 1906 to its tragic sinking on May 29, 1914, which killed 1012 people. Visit the historic site and learn all there is to know about this magnificent ship. Discover a large collection of artefacts from the wreck, period photos, interactive terminals and eyewitness accounts. New: Built in 2014 to commemorate the 100th anniversary of the sinking of the Empress of Ireland, Hangar 14 features a fun temporary exhibit focusing on what life was like in Québec in 1914. How did people share music? What did they spread on their morning toast? Did blended families exist? Come and find out the surprising answers to 14 different questions! The Bioparc is home to about 40 animal species indigenous to the Gaspésie region in a setting that resembles their natural habitats. Explore the interpretive trail along which you can come into contact with these animals during interpretive activities as well as observe them feeding. Visit the insectarium and its impressive collection of living and preserved insects as well as the animals at the petting farm. 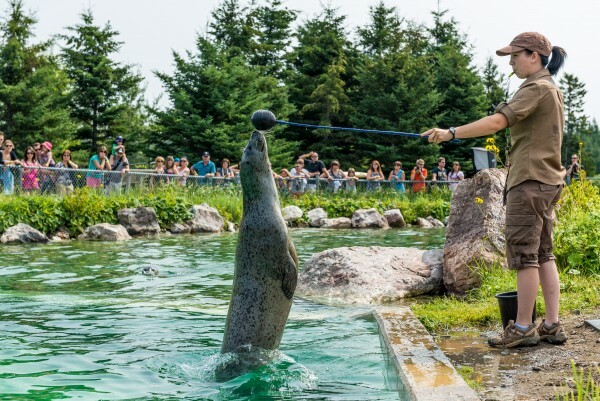 New: Spend a night at the Bioparc during the Overnight with the Wolves activity or discover the aquatic reserve covering the estuary of the Bonaventure River during ecological excursions that will immerse you in an ecosystem that is typical of Gaspésie: the barachois. Parc national de l’Île-Bonaventure-et-du-Rocher-Percé stands out with its rich natural, historic, and geological heritage. 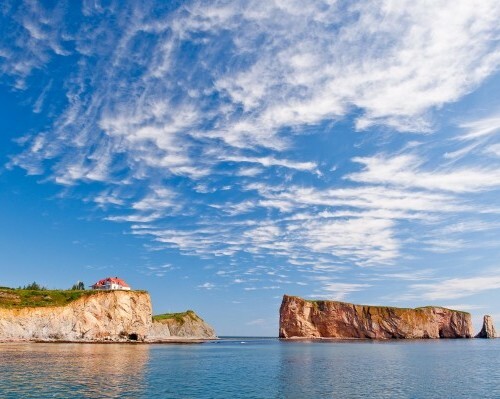 Sculpted by time and the sea, at the Gaspé Peninsula’s tip, it has the fortress of Bonaventure island and the magnificent stone vessel of Percé Rock, Québec’s tourism emblem. Its outstanding flora and fauna, including its famous colony of Northern Gannets, make it a must-see for visitors, as do the island ’s old homes-the last witnesses to the way the islanders lived a century ago. COME PLAY OUTSIDE! Located on the tip of the Gaspé Peninsula, Forillon Park is a mountainous area that borders on the Gulf of St. Lawrence and the Bay of Gaspé. Its boreal forest is home to a diverse wildlife that can be easily observed. 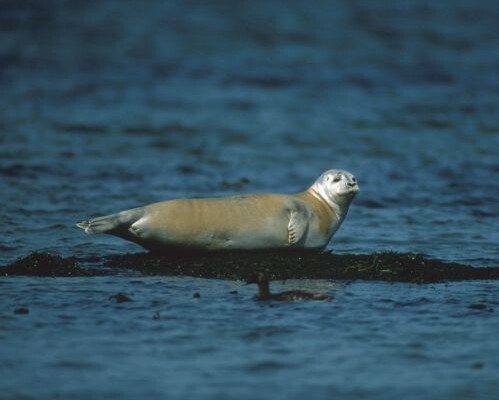 The park’s steep cliffs welcome thousands of sea birds and its shores harbour colonies of seals. The Forillon Peninsula has been inhabited for thousands of years and the Park bears witness to the lives of those who lived there, including Micmacs, fishermen, cod merchants, whale hunters and lighthouse keepers. 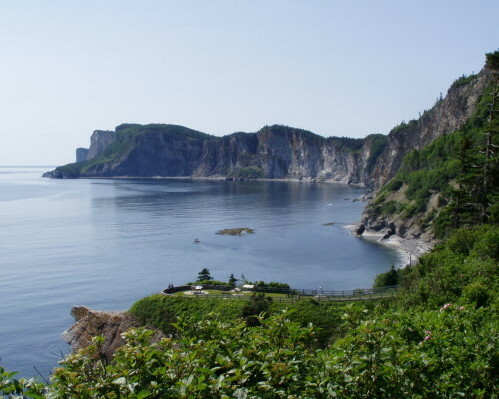 Held within Forillon Park, Cap Bon Ami is a mountainous area that borders on the Gulf of St. Lawrence and the Bay of Gaspé. Its boreal forest is home to diverse wildlife that can be easily observed. The park’s steep cliffs welcomes thousands of sea birds and its shores harbour colonies of seals. Its stunning vistas and rock formations are a testament to our planet’s captivating history. 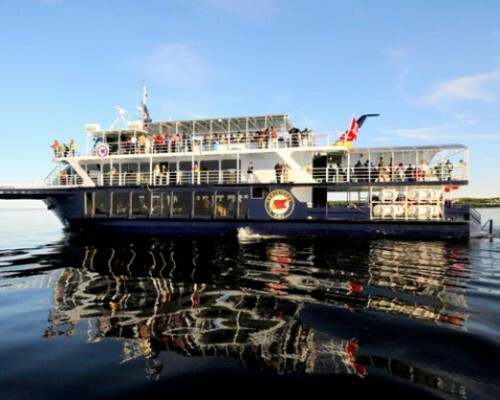 With Croisières AML, wildlife enthusiasts can admire the most majestic creatures on the planet in one of the world’s best whale-watching sites: the Saguenay–St. Lawrence Marine Park. This park is a major feeding ground for marine mammals, which is why this region is such a hotspot for nature lovers. In addition to its exclusive Whale Warranty, Croisières AML offers visitors the choice between an exhilarating outing in a Zodiac or the unparalleled comfort of one of their sightseeing boats. Boats leave from both Tadoussac and Rivière du Loup.